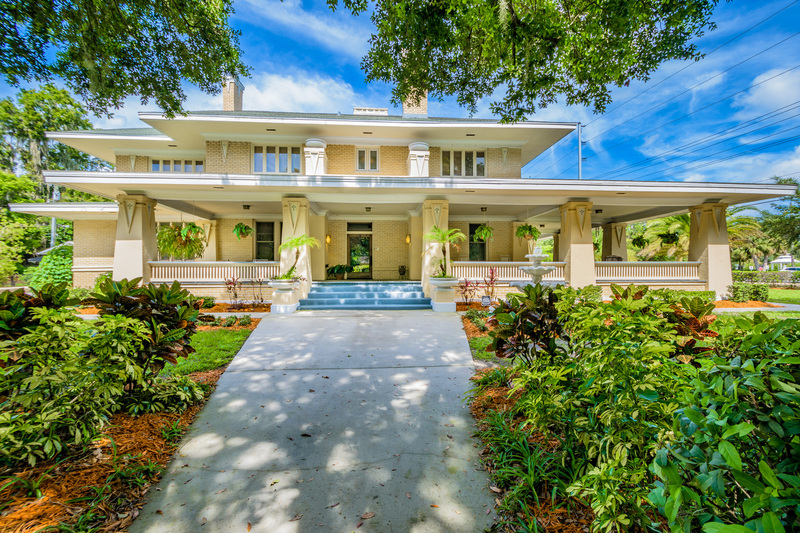 Premier Sotheby’s International Realty Lists Historic Columbus W. Deen Home in Lakeland, Fla.
Premier Sotheby’s International Realty announced today that the firm has listed the Columbus W. Deen home in Lakeland, Fla. The stately residence, built circa 1912, sits at the epicenter of the Lake Morton Historic District on the southwest corner of Success Avenue and McDonald Street, and is meticulously restored to its original appearance. Sales associate Victoria Vo represents the listing, which is now for sale and offered at $899,999. Known locally as “The Deen House”, the Prairie-style home began its life as a mansion for banker and real estate developer Columbus W. Deen. The pristine bungalow has since undergone extensive updates and renovations, seamlessly blending characteristics of nineteenth-century Southern architecture with modern features and amenities. The home’s original woodwork, pocket doors, coffered ceilings, and large semi-circular fireplaces faced in brick remain. An open concept floor plan, formal dining room, custom kitchen with granite countertops and center island, as well as a luxurious 1800-square-foot wraparound porch make the home ideal for entertaining. The main house includes five bedrooms and three-and-a-half baths. In addition, there is a detached guest house containing two bedrooms and two full baths. For more information on the property, located at 417 Frank Lloyd Wright Way, please visit the firm’s website at http://www.premiersothebysrealty.com or contact Victoria Vo at victoria.vo(at)premiersir(dot)com. Headquartered in Naples, Florida, Premier Sotheby’s International Realty has over 1,000 associates and employees in 40 locations throughout Florida and North Carolina. In 2017, the annual REAL Trends 500 survey ranked the firm number 35 in its survey of the top U.S. residential sellers by volume, the highest ranking for a Florida-based brokerage. Premier Sotheby's International Realty also benefits from an association with the storied Sotheby's auction house, established in 1744. For more information, visit http://www.premiersothebysrealty.com.